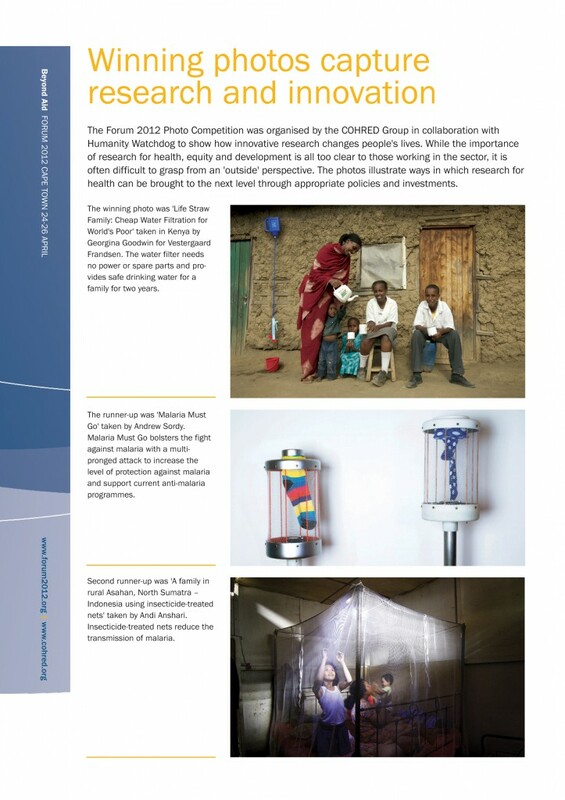 ‘Research and Innovation for Health…building systems, boosting development‘. This page provides a snapshot of the main events and activities that will support COHRED’s 20th Anniversary. 2013 marks the 20th Anniversary of COHRED following its 1993 set-up as an international non-governmental organisation with the responsibility of supporting developing country efforts to invest in establishing and strengthening sustainable systems for research for health. This role grew out of the 1990 report by the Commission on Health Research for Development, which highlighted the low funding for health research particularly around the diseases that were most responsible for poor health in low-and-middle-income countries (LMICs). Today, our work has grown to focus on improving research and innovation for health, equity and development by supporting countries to develop strong research and innovation systems as part of their national efforts towards better health and development. The stories section of this page (see menu to the left) aim to highlight the ways in which our work with various partners, organisations and researchers may have impacted on efforts to advocate for research and innovation for health. As a partner, associate, friend and/or advocate that is involved or interested in the work that we do – we also want to hear from you. You can also send us your comments, photos, videos and publications by going to the page Comments & Messages. Join us on Twitter (#cohred@20) and Facebook.